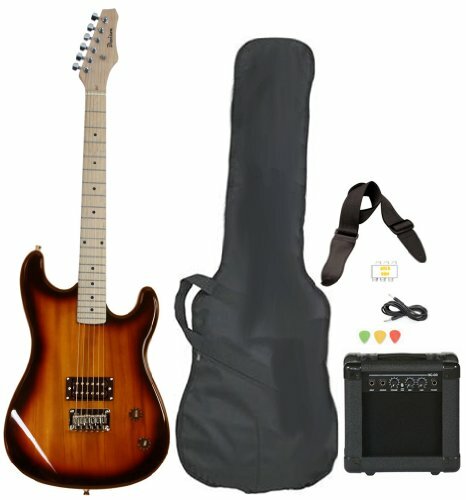 Guitars365.com brings to you this fantastic full size Electric Guitar package complete with amp, case and accessories. 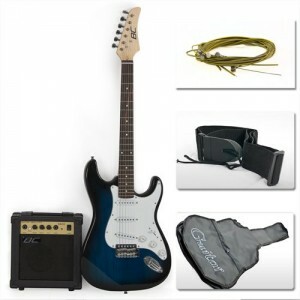 This package includes everything you will need to start playing the guitar right out of the box, making this bundle perfect for anybody looking to start learning to play the instrument. 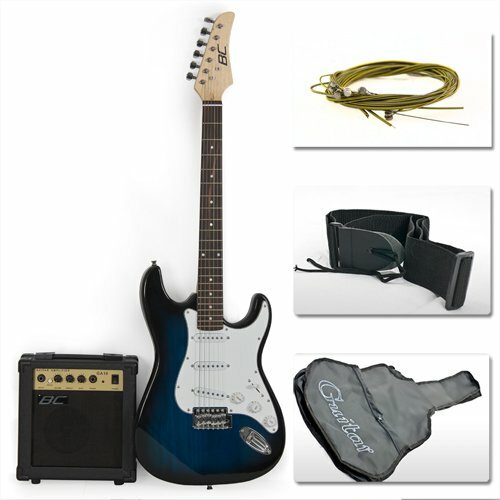 This 39″ Full Size Metallic Blue Electric Guitar includes a hardwood body and maple wood neck with Truss Rod; Finger board: Rose Wood; Frets: 22; String Length: 25.59″ / 650mm; Pickups: Single coil X3; Regulator Volume X1, Tone X2, 5 Scale Tone Changer. AMP SPECIFICATIONS: 10 watts; Two band EQ; with Volume, bass, tone and treble control knobs and a headphone output. 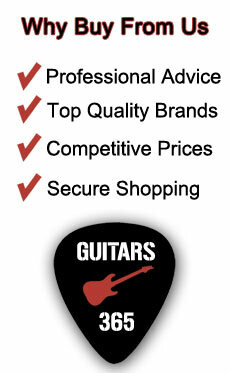 We would recommend this package to any beginner looking to hone their electric guitar skills.